WD: Cristina, and soon Jolt, did. Cristina is doing a fellowship with the NoVo Foundation and she became aware of a particular fund that they had created called Radical Hope. They were looking for very unique projects around the world. They are particularly focused on young women leadership development, and we're looking for some unique ideas and approaches to help create that. We were one of very few groups that were awarded funds from the Radical Hope Fund here in the United States. There were quite a lot more around the world and we were the only Texas group that received funding. Cristina came to me because each of us occupy a kind of a piece of this world and the work that our nonprofits do... 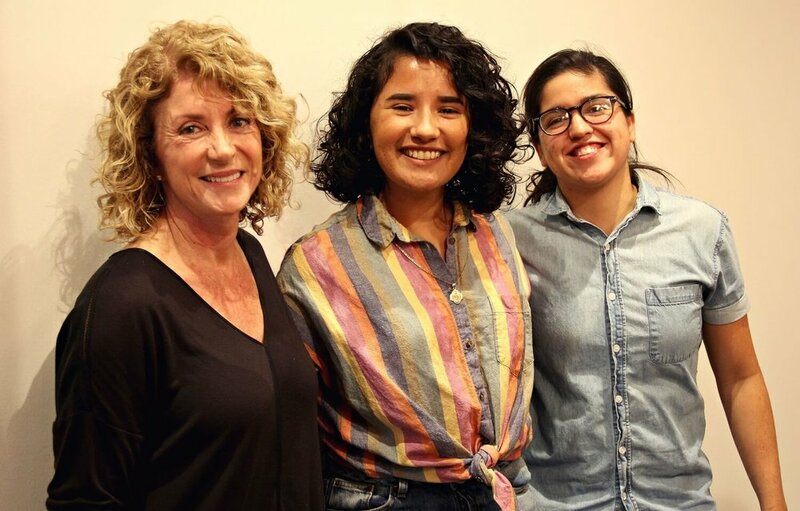 Jolt is very specifically focused on the young Latinx community, and helping to make sure that they’re training young people across the state to raise their voices and to be participants in making decisions that impact them. Deeds Not Words does exactly the same thing with young women, so putting together a project that was focused on young women of color made sense for both of our organizations, to come together and work on it. WD: We received our funding in July. And Tess is referring to the application process that we created for the young women who will be fellows in this program. There are many facets to what we committed to do, but the most important part of that commitment centers around a fellowship program where, over a four-year period, we will have two cohorts of 25 young women of color who will go through deep-dive-leadership-training four times a year, and will be paid a stipend for that. We'll have the benefit of incredible training from people of a variety of backgrounds and understandings of the goal. Then at the end of their two-year fellowship program, we will help place them in positions of leadership, either in the nonprofit community or in government. And hopefully we'll have some of them decide they want to run for office and those sorts of things. TO: And these cohorts will focus on women between the ages of 20 to 34. The reason why that's so important is that it's young women of color. When Christina first came to me and was like, I had this idea for this program, we could do this fellowship to get young women of color in positions of power. And I was like, I wish they had this had been available when I was coming out of college and thinking about what I wanted to do with my career. I'm so excited that there will be this group of young women that are going to get to benefit from this, because this training exists, but there's so little of it that's geared towards this specific demographic. That's where Texas is going. That's what the state looks like now. When you look at the state, it's no longer the images of white cowboys, and farmers, and ranchers. It's becoming increasingly young, increasingly diverse. And it's amazing that we can have a program like this that speaks to young women. WD: Particularly I think it would be a lot of work for any one organization to do. Though there's great benefit in organizations coming together to do it, it also requires us trying to navigate that. What will that look like? How will we make sure that we're truly working toward common purposes and using the skill sets and talents that each of us bring to the table to help make that happen? But I'm thrilled with how well it's going so far. We have a manager of this effort who's housed at Jolt. And then both Jolt and Deeds Not Words each have team members who are specifically committed to this project as well. TO: So they meet four times a year for these different types of training, starting with an initial summit that's going to happen on the 28th of February after the class has been announced. And then Deeds just hired a curriculum person that is fleshing out what all of these different trainings are going to look like, and what are the things that these women need to know in order to be successful. WD: And really, I think that takes the shape: educating on the landscape of where we are. I often feel that if we don't really understand how we got to where we are, it's hard for us to really appreciate the best ways to move forward. So there will be quite a lot of work on increasing understanding, and a lot of work as well in advocacy training, which is the thing that we really focus on at Deeds, and one of the skills that we felt would be wonderful to bring to this particular effort. We're not just talking about going to the Capitol and having a single lobby day, but having a very enriched and deep experience of what it means to decide upon a policy change, to work with the legislators, to create a bill around that policy change, and then to work that bill all the way through the process. I've always believed that when we know how policy change happens – because we've been engaged in making it happen – we are forever engaged. That skill set is something that we will use in many facets of our life going forward. That's certainly been the case for me. And for the young women that we've done that with so far, we've seen them really hit their stride, find their voice, and feel a lot more confident in being participants in shaping policy. TO: And we've seen the same thing at Jolt. We work with a lot of… Latinx youth. 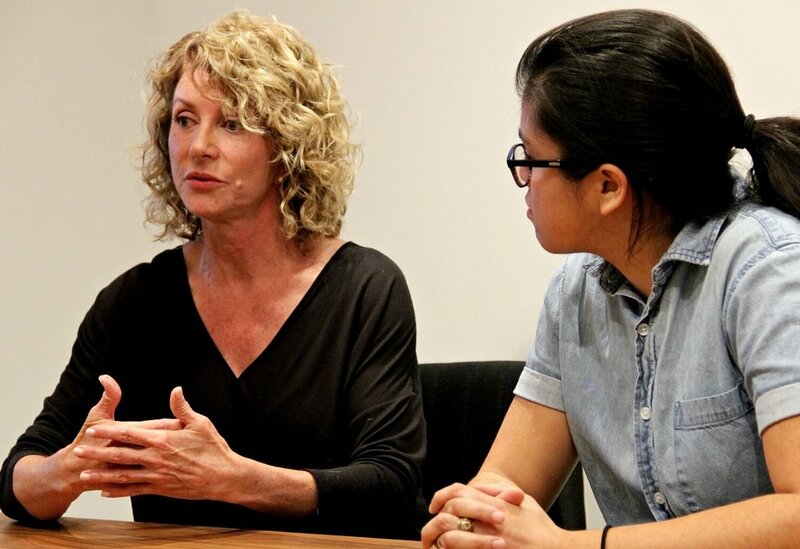 We work with a lot of students and young people, in particular women, and with the training and leadership development that they got through us, you see that confidence come out. So many times women of color feel like they can't be at the forefront. They can't be the leaders. They can't take that initiative. So showing them that yes, you can, this is your place too. We've seen such an increase in confidence and really taking leadership on their campuses. So with this cohort, we want them to take these lessons and take it back into the communities to do this work in there as well. TO: I think that takes reaching out to other partners in the community and making sure that we have a message going forward that this is for all self-identifying women of color in Texas, wherever you are. You don't have to be from the city, you can be from rural areas, different places in Texas. We want to welcome everybody to apply making sure that we have that messaging. And Deeds helps with that as well. WD: Collectively, we've had a very proactive effort inviting applications for that fellowship and reaching out to majority-minority colleges around the state, and organizations that serve majority-minority communities to make sure that they're aware of the fellowship opportunity and that they can spread the awareness of that to people who are part of their circles. TO: We want to make sure that people understand that this is a program for women of color by women of color. The majority of the people working on this project are women of color themselves. I think that's also very important to know. TO: I think for me it was, just looking back on... Growing up you don't really realize it. You're conditioned to these things. But looking back it's like, oh, who are the ones answering questions in class? It definitely wasn't me. It definitely wasn't the other young people of color in class. When I was in high school, the school was fairly diverse, but when you looked at the classes, they were really segregated. So when it came to the advanced classes, it was mostly white students and there were a few students of color. And then when you had the quote-unquote regular classes, that's where you could find the black and brown kids. For the few of us that were in the advanced classes, we weren't being called on to answer questions. We weren't the ones that were the favorites to present in class. And then going forward, it wasn't until I was out of college that I realized, oh, running for office, that's a thing that I could do. And it took seeing people taking that initiative and actually going and doing it, like, Representative Gina Hinojosa. When you've never seen that before, you don't see that as an option for yourself. That's what we want to do with these young women, show that this is a place for you. You can be here, and you should be here. When we look at the demographics of Texas, we see how many gaps there are in representation for communities of color. It's just hard to see yourself in that position when I've never seen anybody else do that before. WD: For me, it really was through my legislative experience, and I can't point to any one single thing, but the cumulative understanding of the fact that where we have wage suppression, it's women of color who are primarily the ones who suffer from the consequences of that. When we have a lack of access to women's healthcare, with the withdrawal of funding that happened in 2011, and the closure of women's health clinics all over the state, it was women of color who were the receiving end primarily of that. When we're talking about access to pay equity and paid family leave, these policies that are in large part about gender equity primarily are the ones that would most benefit and improve the lives of women of color. If we're thinking about the problems that exist in this state as it pertains to women, every single one of them, if you peel the layers back, what you understand is that there is a very different impact for white women and, particularly, white women of privilege than there is for women of color in this state. Unless and until women of color are driving the agenda, bringing their lived experiences forward, using those experiences to inform decision making, we're going to continue to see more of the same. CM: With this current tense political culture seeping into how society views women of color and other genders as well, how do you think this program will help impact people who might be a little too shy to try to do some sort of community outreach or some sort of program to get them out of the situation that's keeping them at a disadvantage? TO: With the training that we're going to be doing. And showing them that this is the place where you can be. We've seen that with our student chapter members at Jolt. Young women who are asking, can we have more training on how to manage these chapters or I have trouble with being in charge of telling people what to do, or I don't want to come off as bossy. It's like, no, just doing that does not mean that you were bossy. You can be a leader and that's not a bad thing. So just letting them know that hey, this is something that you can do even though you've been conditioned all of your life that you need to take a step back, and you can't be in the front of the line on this, showing that that's not the case. One of the primary goals with this training is wanting them to understand that, and wanting them to take that back to their communities to make some real change and get more people used to seeing women of color in positions of power. Because people aren't used to seeing that, and so it's going to be new for a little bit, but we want them to get used to it and expect to see women of color in these positions so that it's no longer a big deal. WD: Something you said earlier that I think really hit the nail on the head as far as this point goes, creating those leadership skills in young women from around the state who bring those skills back to their own communities. It is our hope that through this program we're building a ripple effect from the fact that young women will be back in their own communities armed with their greater understanding and ability to use their own power to help others in their communities do the same. CM: What's been the best part that's come out of this program so far, even though it's still in its early stages? WD: For me it's just been looking at the applications we've received for the fellowship. 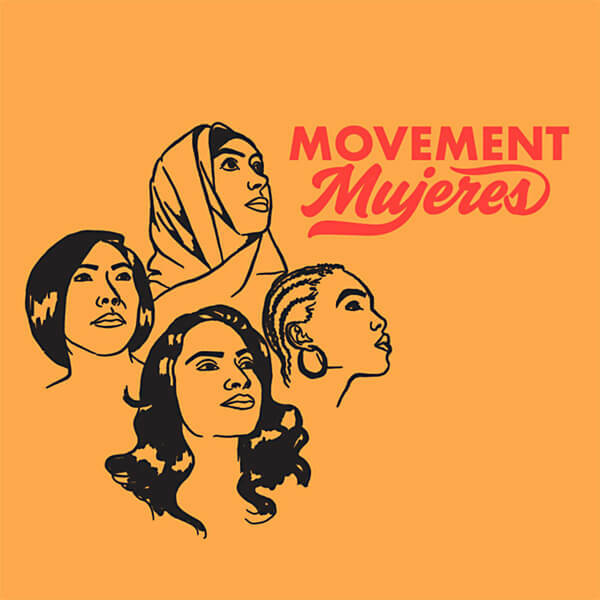 Young women from many different backgrounds and experiences, geographically diverse, who I know will benefit from what they will learn from what Movement Mujeres has to offer. But I also know they're going to benefit tremendously from each other. And for me, as a 55-year-old woman who has two daughters and two granddaughters, knowing that I have the privilege of helping to shape these relationships that will, I hope, be with them for the rest of their lives and will be a support network for them in a way that only people who are living shared experiences can create for each other. That that leaves me really excited. TO: Since it opened, we had people applying for this literally within 30 minutes of the application launching. It was so exciting to see how excited people were to jump on board and be a part of Movement Mujeres. When we were sharing that information with people in our student chapters, they were just like, what? This is a thing? We can apply for this? And how excited people are that this program exists. And that just goes to show you how much of a lack of this type of training and this type of program was available beforehand, because people are flocking to it. And it's great because we're realizing we don't have to do as much work as we thought to get people to apply. They’re sharing it and sending in applications. To me that, that is so exciting, and seeing other young people that we work with wanting to be a part of this work, telling us: I do want to run for office someday. I do want to be a leader of a nonprofit. I want to go into this work where they weren't seeing that as an option necessarily before when we first started working with them. To see that change has been amazing. From my perspective, so I'm 25, I'm still very early in my career, so to be surrounded by all of these other young people similar in age to me getting to receive this training and benefits, it's just really cool. Cause now I'm thinking, okay, my generation, our upcoming generation is going to be really powerful, and we're going to change Texas. It will happen. WD: I hope, and I know Cristina hopes as well, that we will create a model to be replicated. I truly believe that's one of the reasons that the NoVo Foundation awarded the funds because they felt like this was radical in a sense. It's unique, and we hope to create a roadmap that people in other states can follow too. TO: I'm born and raised in Texas. I love the state. It's got a lot of issues, but I know that it's something that we can better. And I think with women coming through this program and going into these positions that we can change Texas. And when we change Texas, we change the country, because here in Texas we're one of the largest states. You see both good and bad things that happened in Texas. You see the same things happening across the country. All of the major issues: you see them playing out right here in this state. So there's no better place for us to do a program like this then the state of Texas. And I know once it is successful here, people will want to do this all over the country because if it works in Texas, the rest of it is going to be easy. For more information visit Movement Mujeres, Jolt Initiative, or Deeds Not Words.